At Apres Furniture, we have over 35 years of experience working with designers, architects and clients. We therefore have the knowledge and expertise to help you create custom made reception desks that align to your identity as a business. 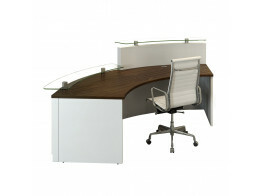 Evolution Eclypse custom reception desk features inlay shadow gaps and quality wood grain or veneer finishes. 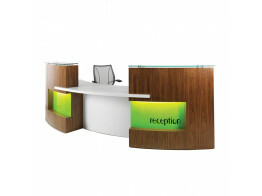 Evolution Xpression modern office reception desks can be customised, with a selection of real wood veneer finishes. 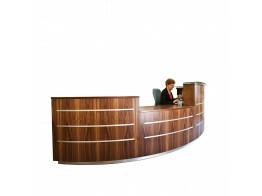 Premia office reception desks are high quality bespoke counter solutions with shaped support panels. 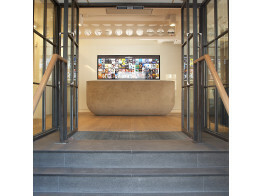 Scene Custom Made Reception Desk offers a wide range of bespoke counter designs with cable management. 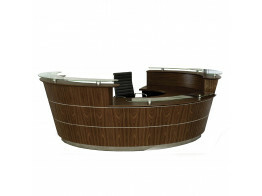 M10 Modular Counters can be personalised by combining the units to suit your customised reception area.